File photo of Roger Sherman Town Hall on Main Street in New Milford. 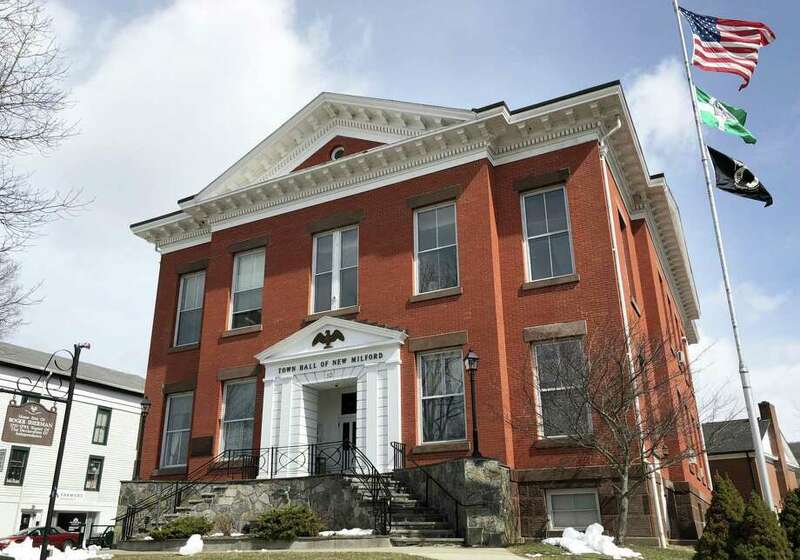 NEW MILFORD — Town-owned buildings could become more energy efficient through a partnership with Celtic Energy. Mayor Pete Bass said they’ve been working on an agreement with the company for a year. “It’s all an effort to use our energy savings to fund more of our infrastructure,” he said. Under the agreement, Celtic Energy would suggest ways to make the buildings more energy efficient and the improvements would be paid for with those energy savings. The town would still pay the same amount it does on energy, the amount beyond the actual energy usage would go to pay off the project. “Essentially you’re already paying for it by paying your energy bills,” said Walt Donzila, the business director for Celtic Energy. He said these agreements were done so local governments could improve their infrastructure without having to come up with additional money for it. Celtic Energy, an energy consulting firm based in Glastonbury, oversees the performance contracts. Its main role is to represent the town’s interests throughout the process and advise the town. It doesn’t design the project. Celtic’s fee is set on a sliding scale based on the total cost of improvements and is generally about 2 percent of the overall project budget. Celtic will work with the town on which buildings to include and highlight things that should be done. The work then goes out to bid. Celtic will help the town select the energy service company from the bidders, negotiate that contract and then oversee the in-depth energy audit that company will do. The work is then completed and the savings are verified. Some examples of possible improvements are updating windows, heaters and boilers, as well as installing solar panels. Donzila said these types of agreements are successful because they’re performance-based contracts, which means if the energy cost ends up being higher than expected, that other company is on the hook for it, leaving little risk for the town. The contracts tend to last 15 to 20 years. “That’s what performance contract means, they have to perform,” he said. Newtown, Stamford and Southern Connecticut State University are all Celtic Energy clients, according to a recent presentation to New Milford Town Council. Councilman Tom Esposito, who works in the energy efficiency industry, said they’ve been talking about this type of program for years. He said the improvements will not only save money, but improve air quality in the buildings, make them more comfortable and help New Milford with its commitment to be a clean energy community. He said this will also help attract businesses and residents who want to live in cleaner communities.